It is a long road from the first patient meeting to the final orthosis which requires a lot of different planning and processing steps. 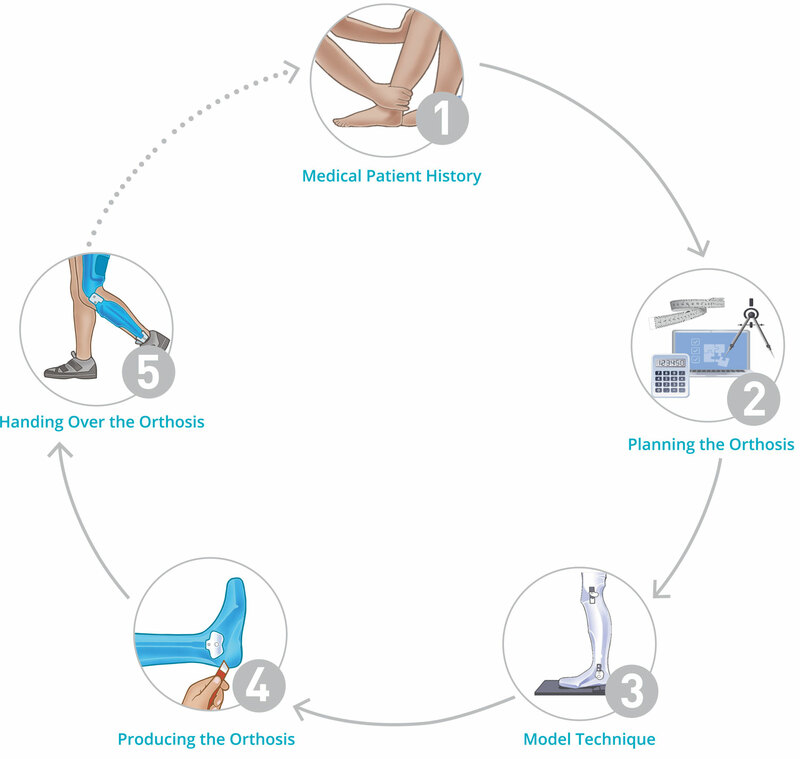 In our online tutorials we have summed up all important points about producing an orthosis. Besides complete working techniques which describe the basic production process, you will also find explicit examples on particular system joints. The online tutorials' structure goes hand in hand with our treatment concept. They are most suited for the system components and materials of FIOR & GENTZ and we recommend to use these components and materials when producing an orthosis.